So Hitman 2 has turned out to be a worthy follow up to 2016’s phenomenal game, then. And as was the case with 2016’s Hitman, it looks like IO Interactive (the team behind the game) will be releasing more content for Hitman 2 starting this December. Actually, the Danish developer recently published its December roadmap on its website, revealing what’s coming to the game this month. Already available in the game are 5 new Featured Contracts. These are missions which players themselves have created and IO Interactive has chosen to include in the game. This particular batch is titled “Occupational Hazards”, due to the focus on professions and occupations in these contracts. That is, you’ll be murdering ordinary people who are going about their daily work routine in these missions, and not the celebrity targets you normally get to kill in the game’s scenarios. Additionally, there’s a yet to be revealed surprise for Hitman 2 players coming on December 18 (today), something Hitman fans will surely not want to miss. Later in the month, a new Elusive Target will be appearing in the game. This is the second such target to feature in the game, after thousands of players worldwide got to kill Sean Bean’s character in the game last month. 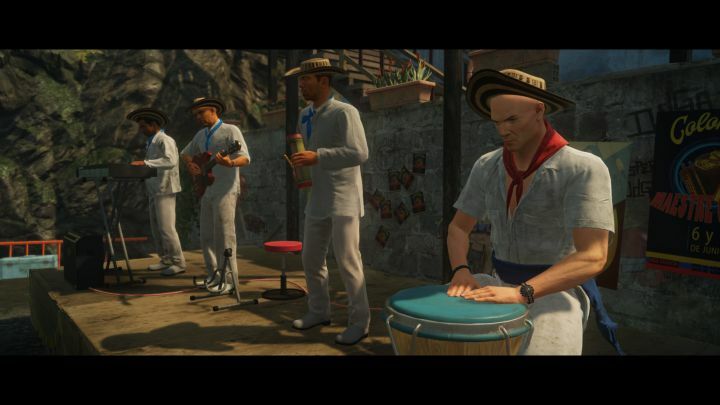 While the Sean Bean mission was set in Miami, this one takes place in the game’s Colombian location of Santa Fortuna. Here’s hoping that taking out The Revolutionary (the mission’s target) is as much fun as putting down Mark Faba (Sean Bean’s character) was in the earlier mission. 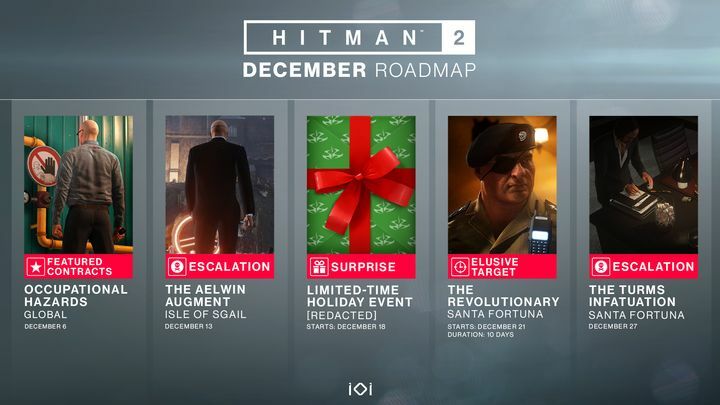 IO Interactive has even more content in store for Hitman 2 players this month too, in the form of another Escalation Contract (which is coming to the game on December 27), and is set in Santa Fortuna too. These contracts are a nice side diversion when one wants to take a break from the main story missions, so it’s a good thing that IO is adding more Escalation Contracts to the game. This will be good news for those who are now playing and enjoying Hitman 2, and surely yet another excuse for those yet to take the plunge and get hold of what undoubtedly is one of the best games of 2018 so far.